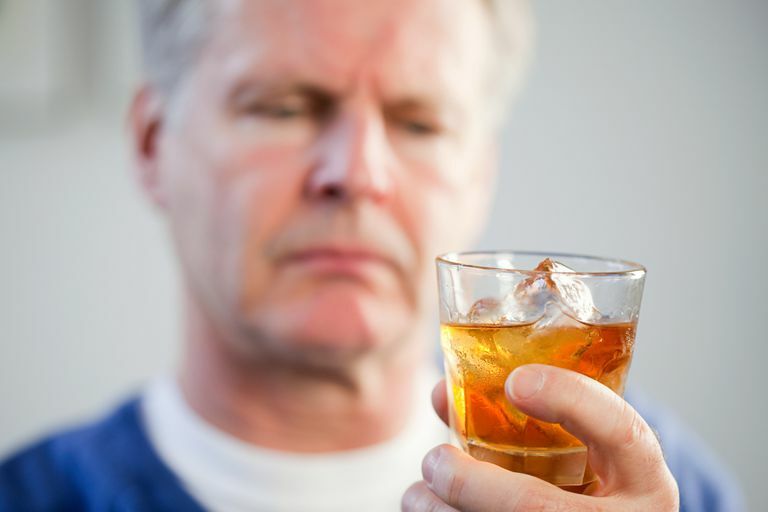 There is evidence that approximately 90 percent of alcoholics are likely to experience at least one relapse over the 4-year period following treatment. The relapse rate for alcohol is similar to those for nicotine and heroin addiction. Some researchers believe the high rate of relapse for alcohol and drug addicts is due to impaired control caused by chemical changes that have taken place in the brain's of alcoholics and addicts, changing the brain's reward system. Some researchers believe this impaired control is responsible for an alcoholic picking up the first drink of a relapse, while others believe impaired control kicks in after that first drink, making it difficult for the alcoholic to stop drinking once they start. Studies have found that the severity of alcohol dependence affects the alcoholic's ability to stop drinking after the first drink. The concept of drug and alcohol craving is somewhat controversial, with some investigators believing that environmental stimuli play a larger role in relapse than physiological urges. But, researchers Ludwig and Stark found that the best way to determine if alcohol craving actually exists is to simply ask alcoholics. They asked study participants if they felt a need for alcohol, in the same manner as you would ask if someone was hungry. Their research found that alcoholics display classic Pavlovian conditioning to internal and external stimuli to the reinforcing effects of alcohol. For example, driving past a familiar bar or experiencing a negative mood, could both set off a craving for alcohol. Internal and external cues that evoke the memory of the euphoric effects of alcohol set off an appetitive urge, similar to hunger, in the alcoholic. Similarly, the memory of the discomfort of alcohol withdrawal could also produce a craving for alcohol, the researchers report. Other studies have found that exposure to alcohol, without consumption, can stimulate a salivary response in alcoholics. One study found that alcoholics had significantly greater and more rapid insulin and glucose responses to the consumption of a placebo beer, compared to nonalcoholics. Several studies have found that teaching alcoholics the skills needed to deal with high-risk situations by practicing how they would cope can reduce relapse rates. Another approach focuses on cue elimination. Many different strategies have been proposed, but in the end, 90% of alcoholics experience at least one relapse. Relapse prevention made great strides with the advent of medications that would reduce cravings. Naltrexone hydrochloride, sold as the brand name Revia and Depade and in an extended-release form under the trade name Vivitrol, was the first medication approved for the treatment of alcoholism that reduced the craving for alcohol. Naltrexone seems to work by decreasing the reinforcing effects of alcohol in the neural pathways of the brain by influencing the neurotransmitter dopamine and others. Experts believe that a combination of pharmaceutical treatment and behavioral therapy, along with participation in mutual support groups, may be the most effective effort to prevent drug and alcohol relapse.